For those of you still in love with the Player but never got around to buying (AP) here's some incentive. 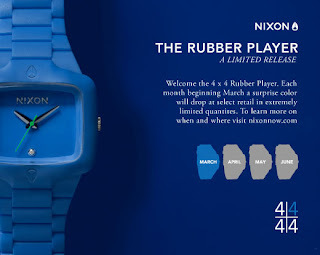 From March through until June Nixon will be release an exclusive suprise colorway for the Player at exclusive retailers. I would be interested to try on a rubber watch.